8-Bit Girl: Pokemon TV Comes To iOS! Pokemon TV Comes To iOS! 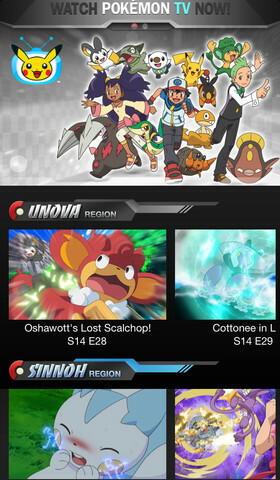 Pokemon has made it's way to the iPad, iPod Touch and iPhone in the form of an app called Pokemon TV. 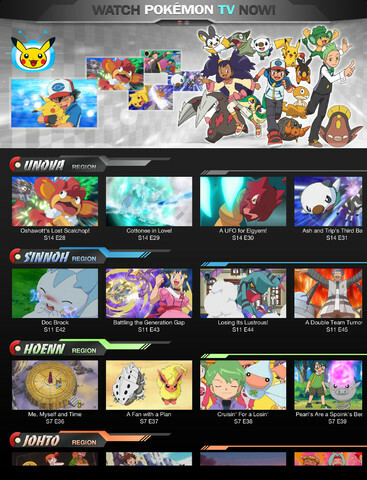 Free to download, Pokemon TV allows fans to watch episodes of Pokemon from every generation (there are currently 50 available). Pokemon films can also be watched when the become available, including Pokemon The Movie: Kyurem Vs. The Sword of Justice, which will be streaming from the 15th to the 18th February.